Every Tuesday I post a work of art I love priced under $10K. 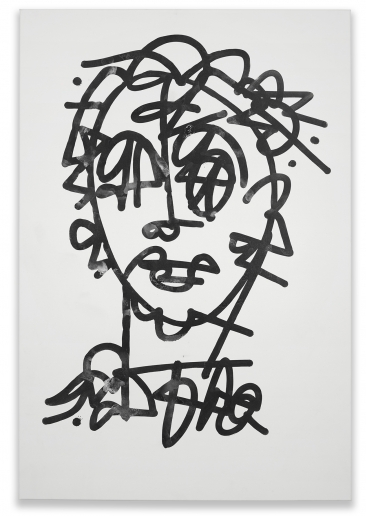 This week: I am so into the black and white line portraits that are part of JM Rizzi's current show at Chesterfield Gallery. A little bit street art, a little bit Picasso; these large ink on canvas pieces feel fresh and bold to me. If you're interested in taking a look in person, please let me know!